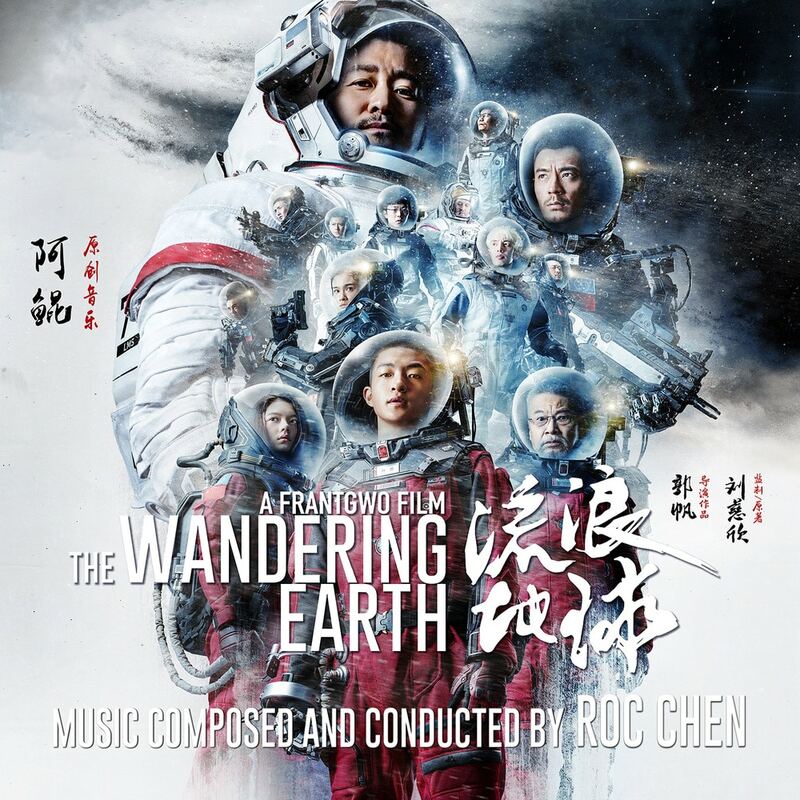 ℗ 2019 Roc Chen under exclusive license to Milan Entertainment Inc.
Milan Records has released a soundtrack album for the Chinese sci-fi adventure The Wandering Earth. The album features the film’s original music composed and conducted by Roc Chen (Guardians of the Tomb, Switch). The Wandering Earth is written and directed by Frant Gwo and stars Qu Chuxiao, Li Guangjie, Ng Man-tat and Zhao Jinmai and Wu Jing. The movie is based on the novella of the same title by Liu Cixin and tells the story of a close future in which the sun is about to expand into a red giant and devour the Earth, prompting mankind to make an audacious attempt to save planet.